Earn $8.64 in Rewards credit (864 points) What's This? 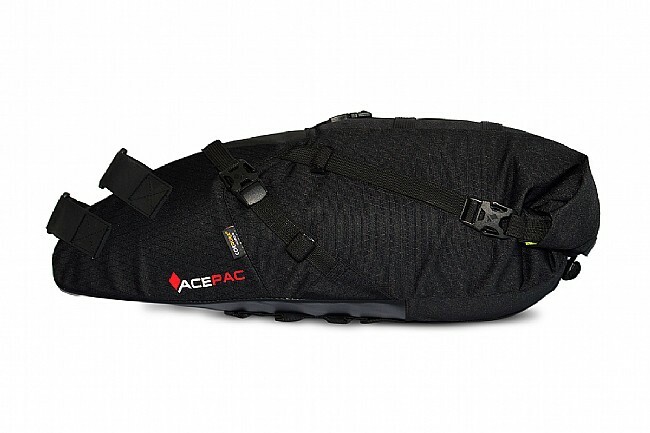 The Saddle Bag from Acepac offers a mondo 16-liters storage capacity in a highly durable, eco-friendly package featuring PU-coated Cordura Ripstop, securely constructed with extensive Bartack stitching. For all-weather protection, this bag includes a waterproof liner made of PU-coated Nylon ripstop with taped seams. 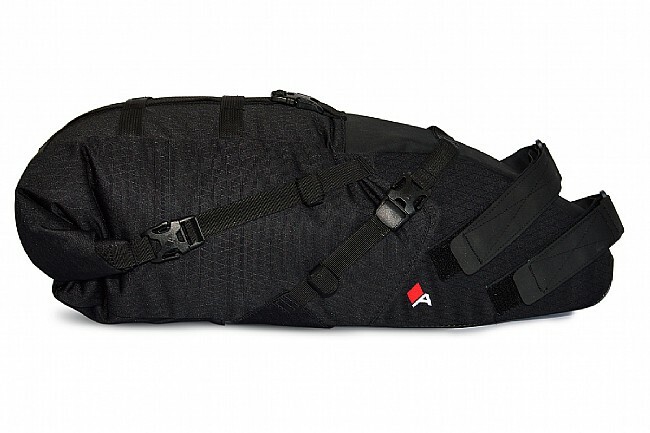 Four straps with integrated loops make it easy to attach anything you can't fit in the bag or want readily available. Non-slip Hypalon fabric helps keep the saddle firmly in place while you ride. Removable waterproof liner (coated Nylon ripstop fabric; taped seams). Abrasion resistant Tarpaulin fabric on sides. 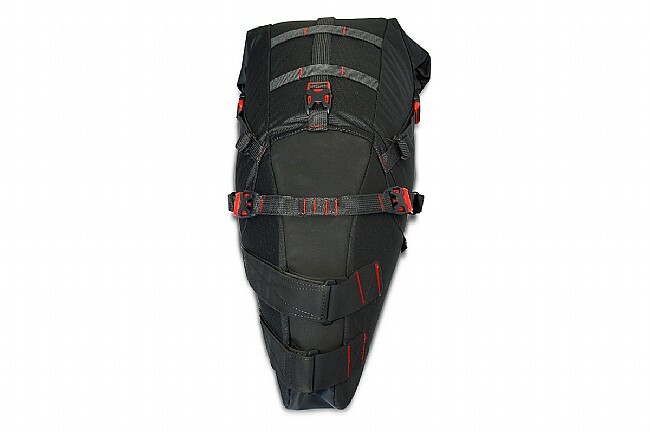 Three Compression Polypropylene Straps with Duraflex Xlite "easy access" buckle. 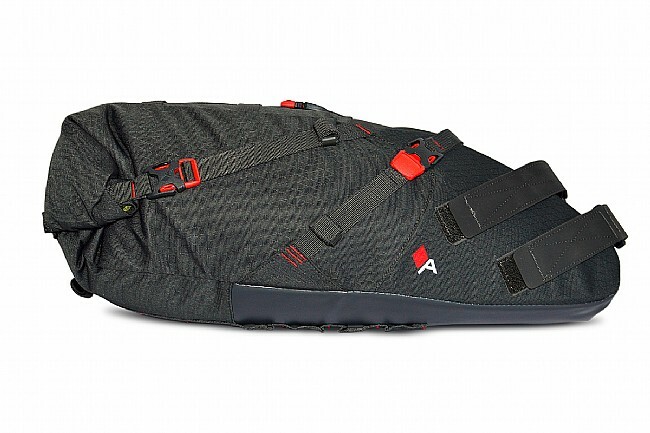 4 top straps with loops for additional storage options.